Review: Well, we’ve all (hopefully) survived another Christmas and many of us will have spent Christmas Eve with our families. While you may have weathered your fair share of withering relatives, bad fruit cake, and are coming home with yet another taupe turtleneck from Aunt Marge, you’ll likely not have had quite as eventful a day as the family featured at the center of Ben is Back. Taking place over one 24-hour period in the lives of a family that’s all in a recovery of one form or another, this is the kind of harrowing familial drama that makes you glad you’re just dealing with an uncle with opposing political views. It’s Christmas Eve in a small town in upstate New York. On the way back from a church program rehearsal with her three children, Holly (Julia Roberts, Steel Magnolias) is shocked but overjoyed to see her first-born son Ben (Lucas Hedges, Moonrise Kingdom) standing in the driveway waiting for them. 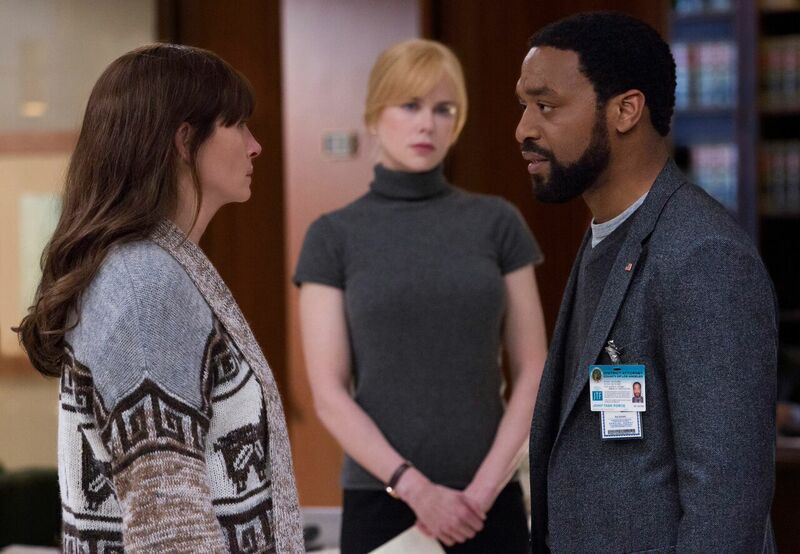 For Holly and her two youngest children, Ben’s arrival is met with joy but for her daughter (Kathryn Newton, Lady Bird) and husband (Courtney B. Vance, Office Christmas Party) the return is anything but a Christmas miracle. Burned in the past by Ben’s addiction to drugs and the horrific behavior that it brought out, both are leery that he’s changed enough to be trusted. Holly chooses to believe her son has finally turned his life around and that his 77 days sober is enough proof for her family to see that he’s on a new path. With her eye on her son (and her medications and valuables safely locked away), Holly spends the next day trying to focus on the holiday at hand while nervously watching for signs that he’ll disappoint her. He’s manipulated her in the past and she’s ready to call him on any indication that he’s not being fully straight with her. They go Christmas shopping, they attend an AA meeting where Holly gets a first-hand account of what recovery looks like not only for her son but for the men and women continuing to struggle with addiction in their later years. Later, they’ll go on another more complex journey both physical and emotional that takes them through painful memories. Written and directed by Peter Hedges (The Odd Life of Timothy Green), Ben is Back has a fairly solid and tension filled first half that eventually gives way to a second act I didn’t enjoy quite as much. It’s at that midpoint the movie switches things up from a stress-inducing drama focused on the devastating effects addiction has on families to a more traditional storytelling arc that feels like something we’ve all seen before. It’s as if the scripts for two separate and half-finished movies dealing with the same subject were cobbled together. That being said, I wasn’t ever sure how things would turn out for Holly and Ben and for that I was grateful. What makes the movie so very watchable are the two lead performances, namely Roberts in one of the best roles of her career. A true Hollywood A-List star, Roberts has coasted a bit in the years following her Oscar win for Erin Brockovich, taking on projects for fun (Mirror Mirror), in support of prestige leads (August: Osage County), or what had to have been as a favor (Mother’s Day). She’s back in full force in Ben is Back, going total mama bear as she fights to protect her son from himself and fend off all others that may stand in her way. Through it all, Roberts layers her character with idiosyncrasies and flaws that show she’s not perfect either but reinforce she’s human like the rest of us. For someone so recognizable with that mega-watt smile, she’s remarkably adept at blending in with ordinary folk. She’s matched well by Lucas Hedges (yep, the son of the director) as a man reckoning with his past misdeeds over an already stressful holiday. Back in the town filled with memories that might derail his progress, the real reason he’s back isn’t revealed until late in the movie and makes what has transpired that much more heartbreaking. Lucas does right by Ben and the audience in never letting us in on how much he’s telling us is true and how much is a put-on façade for the benefit of others. While Lucas has less meat on the bone to chew on in the second half, he proves to be a good scene partner for Roberts and brings out colors in her that have long been dormant. 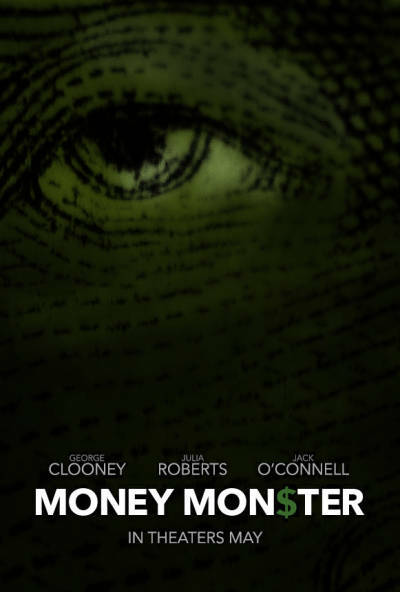 Acting as another somber reminder on the struggle with drug addiction in America (though not a preachy PSA), Ben is Back is most notable for the performances of Roberts and Hedges but also has a nice way of creating an atmosphere of tension that keeps you on edge for most of its 103 minutes. You never quite know which way the movie is going to veer and even though the latter half of the film isn’t a strong as the first it eventually finds its way back to the heart of the family with a whopper of an ending. Though it might be as manipulative as our titular character, the final shot of the movie really hit me hard. Review: By the time the stage version August: Osage County premiered to thunderous acclaim on Broadway in 2007, it wasn’t hard to see the possibilities of Tracy Letts’ play making the move from the Great White Way to Hollywood. I mean, just think of the rich casting potential for the wonderfully complex and flawed characters that Letts created…it was an actor’s feast. And when Meryl Streep (The Iron Lady, Hope Springs) was announced as playing the matriarch of the Weston clan the only thing I could think was ‘Of course.’. It made perfect sense for Streep to be attracted to such a whopper of a role and even more sense for producers George Clooney (Gravity) and Grant Heslov (Argo) to lock her in as the star on top of the twisted Christmas tree that is August: Osage County. Over the next months as more cast members like Julia Roberts (Pretty Woman, Mirror, Mirror), Ewan McGregor (The Impossible, Salmon Fishing in the Yemen), Chris Cooper (The Company You Keep), Abigail Breslin (The Call), Benedict Cumberbatch (Star Trek: Into Darkness, The Hobbit: The Desolation of Smaug), Juliette Lewis (Cape Fear), Margo Martindale (…first do no harm), Dermot Mulroney (Stoker), and Sam Shepard (Out of the Furnace, Steel Magnolias, Mud) were announced the stakes just kept getting higher and higher and the expectations soared through the roof. After all, with a multi-award winning cast gathered together for some good old fashioned family dysfunction there was no way this could miss, right? I’ll say that if you’ve never seen a production of August: Osage County on stage you may like this a little bit more than I did. Though I enjoyed the film overall based mostly on several key performances/scenes I was more underwhelmed than I thought I’d be because the film version was missing that lightening rod indefinable IT factor that made the stage version pulsate with life. Whatever magic happened when you saw the dark secrets of this family exposed in the darkness of live theater just didn’t transfer over the same way to film. Not to give the impression that this cast doesn’t toss themselves whole hog into trying, though. Streep (sporting an appropriately ratty brown wig and huge sunglasses that make her look like Johnny Depp in Charlie and the Chocolate Factory) gets down and dirty with her eldest daughter played by a refreshingly earthy Roberts who wasn’t vain enough to hide her faded graying roots. Gathered together in the days following the disappearance of the patriarch of the family (Shepard, who interestingly enough played Roberts boyfriend in The Pelican Brief), the Weston brood return to their dusty hometown toting all kinds of baggage. While they eat, drink, and avoid being merry, pretty much every kind of family squabble breaks out and usually during a large family meal. These dining room scenes were quite effective on stage and they work nearly as well on screen with arguments that start small erupting into knockdown, drag out fights. Audience members that avoided recent holiday arguments with their own families will get their quota of bickering when they sit down to dine with the Westons. Adapted by Letts from his own Pulitzer Prize winning play, the author finds acceptable ways to open up the cinematic interpretation of his work that allow the characters time away from home. That’s all well and good but part of why the stage version felt so claustrophobic was the fact that the action took place entirely in the house…so we were as trapped as the family was. Giving the actors on screen some breathing room winds up taking air out of the tension that Letts attempts to build. 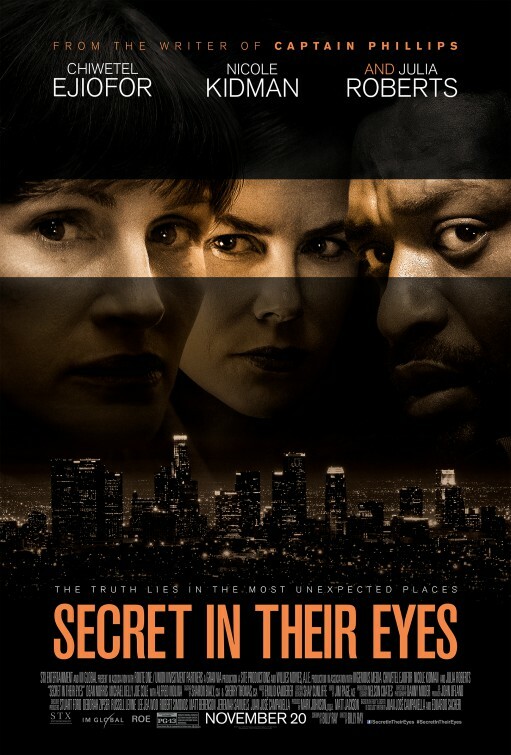 It doesn’t help things that television director John Wells is behind the camera for only his second feature film. His direction is exceedingly pedestrian, though I can’t imagine these actors needed much help from him. Still, one wonders what a more seasoned director (like Gus van Sant, for instance) could have done to shape the film better. I saw the film at a screening back in October and at that time the ending wasn’t set in stone. I know that two endings exist, one that stays closer to the stage play and another that adds a coda many feel unnecessary. I saw the second ending and agree totally that the film didn’t need it…it’s only there to placate audiences that need resolution, lessening the overall impact of all the maladies that came before it. From what I’m hearing the ending I saw is the one that stuck so take stock of when you think the movie should have ended and see if it aligns. It’s likely that Streep and Roberts will be Oscar nominated for their work here and it wouldn’t be off the mark to say they’ve earned their spot in their categories. It’s extremely doubtful they’ll win with the quality of the other actresses they’d be competing against but the work here is demonstrative of Streep’s good instincts and that Roberts is more than just America’s sweetheart. 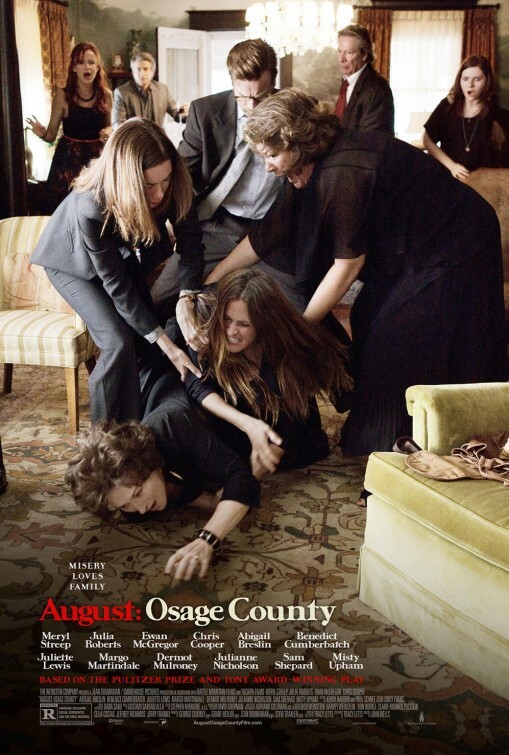 The two make the film worth seeing and the source material itself is brilliant…if you can’t see it onstage then the film version of August: Osage County will have to do. Synopsis: A look at the lives of the strong-willed women of the Weston family, whose paths have diverged until a family crisis brings them back to the Midwest house they grew up in, and to the dysfunctional woman who raised them. 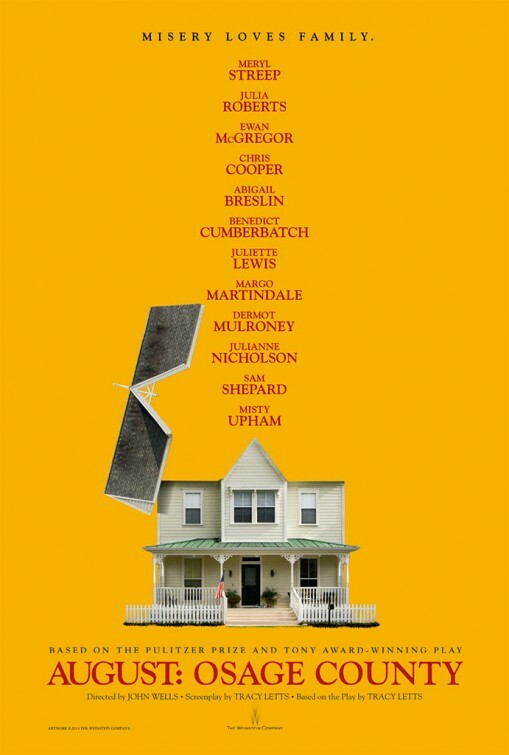 Thoughts: An all-star cast has been assembled for the big screen version of August: Osage County, based on the searing Pulitzer Prize winning play. Seeing the play, I was riveted and while I’m not sure a film version can create that same immediacy there’s a wealth of strength in the material from playwright/screenwriter Tracy Letts. 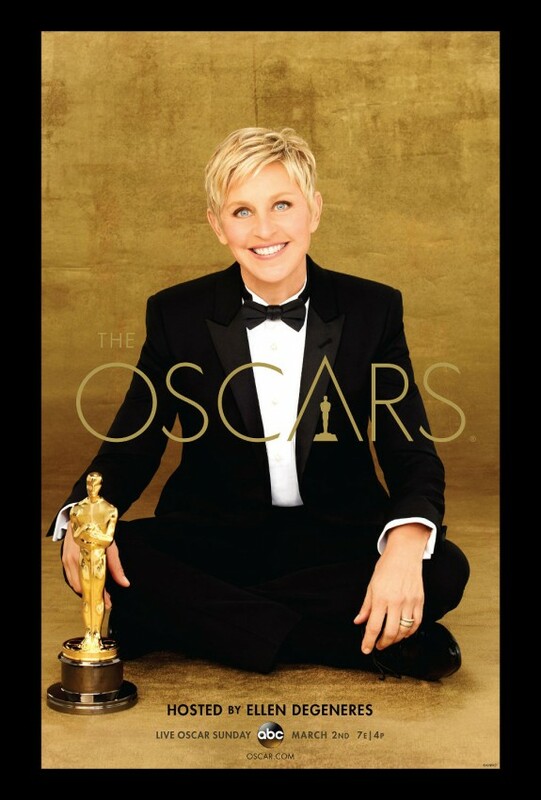 Meryl Streep (The Iron Lady) is an interesting choice for the boozy matriarch of the troubled Weston family but knowing Streep she’s going to knock this one out of the park and wind up with another Oscar nomination or win for her troubles. When they announced Julia Roberts (Mirror, Mirror) was to play opposite Streep some turned up their noses but our first look at Roberts in action suggests that the A-List star is readying for a powerhouse performance. The rest of the cast is top-notch too with some spot-on casting to look forward to. Unless something goes majorly wrong, this is a film that will factor heavily into the next Academy Awards…I can’t wait to see it. Review: Like the film adaption of A Few Good Men, the movie version of the play Steel Magnolias has ruined me for any future stage production. Playwright Robert Harling brought his auto-biographical play to the screen with a script that took the ladies out of the beauty salon and added male characters without sacrificing any of the charm, humor, and emotion that made the theatrical work so popular. It can be a tough chore to adapt a play for film without making it seem too stagey or confined but Harling and director Ross (The Turning Point) avoided these pitfalls with ease thanks in no small part to a slam-dunk sextet of females in leading roles. 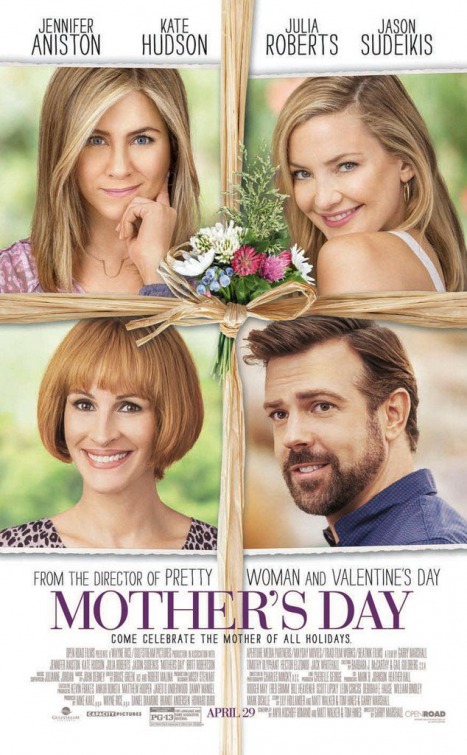 It’s clear that the women enjoyed working together because their warmth and easy-going vibe really elevates the film from being a sappy Southern fried weepie to a memorably classic tearjerker. I’ve seen Steel Magnolias on stage several times (even on Broadway with Delta Burke, Marsha Mason, Frances Sternhagen, and the Noxzema Girl) and the shadow of the movie always loomed large…I know it’s unfair to make comparisons but it can’t be helped with a cast of this caliber. It’s lovely to see the journey Roberts (coming off good notices in Mystic Pizza) takes as a young Southern belle. Earning an supporting Oscar nomination for her work here, she’d follow this up with a Best Actress nomination for Pretty Woman a year later. She fits in well with other Oscar winners Dukakis (for Moonstruck), MacLaine (for Terms of Endearment) perfectly cast as funny biddies and Field (two time winner for Norma Rae and Places in the Heart) as her kind but overly protective mother. They’re joined by a surprisingly effective Hannah as gawky Annelle and the still underrated Parton (Joyful Noise) as salon owner Truvy. Though the film has several scenes throughout that may get you misty, it’s Field’s breakdown near the end of the movie that chokes me up each and every time I’ve seen it. There’s something raw and real about the internal struggle that manifests itself in a powerful cry for answers that hits a nerve within me. The beauty of the film, similar to Terms of Endearment, is how it injects humor in all the right places so just when the tears start to flow you find yourself laughing. 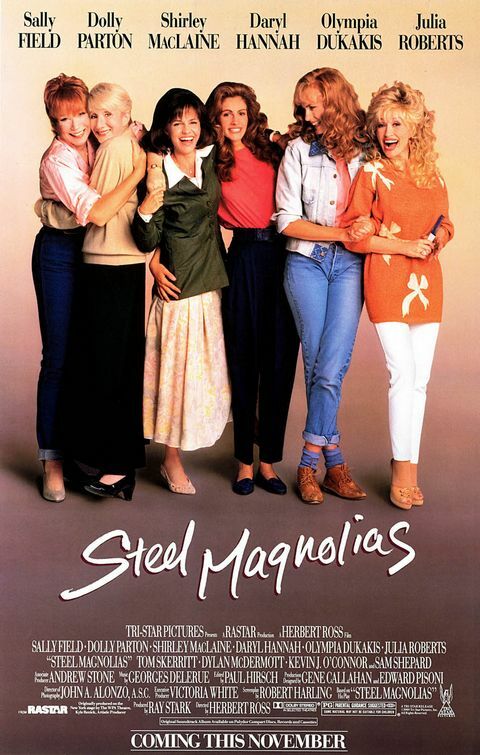 Yeah, one could describe Steel Magnolias as chick flick and it absolutely is – but more than that it’s notable for its strong performances, gorgeous score (by Georges Delerue), and sensitive direction by Ross (though it’s widely known that Ross was a real devil to work with – he hated Parton and was especially hard on Roberts). Tearjerkers don’t always come in this easily accessible a package.